Serving the community of Jefferson County, IN and Trimble and Carroll Counties of KY. Whether you need help financing a new car, setting up an IRA, or just opening a new checking account, your Credit Union can help you. We offer a host of financial products and services to help you make the right financial decisions. 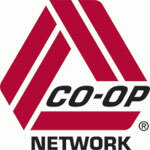 There are now 4 ways to locate a CO-OP Network surcharge-free ATM. Jefferson Community Federal Credit Union strives to satisfy the financial needs of our members and their families. Use your Jefferson Community Federal Credit Union ATM card to get cash or transfer funds 24 hours a day.To find the ATM location nearest you, click on ATM Locations. We now have two ATMs. One located in Kings Daughters Hospital and the other located next to Walmart in Madison, 545 Ivy Tech Dr.